ACE Hardware is nationwide hardware store chain that is proudly locally-owned. “Proudly owned” can certainly describe the Stickley Hardware stores of Indiana. In 1986, the Stickley family opened their first hardware store. Since that time, the family has expanded and taken on the ACE franchise name. With multiple locations, the company is still family-owned and providing quality service throughout Indiana. With a brand new site from Digital Hill, the ACE Hardware stores of Stickley can continue to serve the community. Stickley Hardware shares the same motto as the rest of the ACE family. They’re “The Helpful Place”. For Stickley locations, now there is a website to help even more. Customers arriving at the site are greeted with an aesthetic that matches the ideal hardware store – uncluttered, clean, easy to navigate and straight to the point! The primary navigation bar allows potential and returning customers to find the major parts of the site quickly. 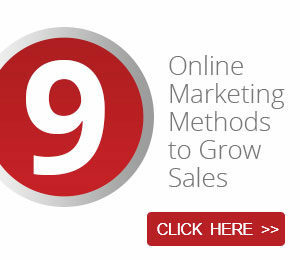 The homepage is cleanly segmented so customers can get where they want to go without the fuss of going on a link hunt. 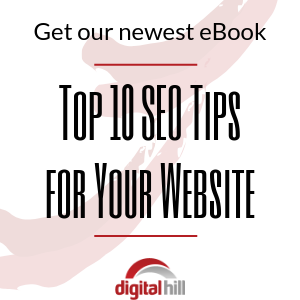 Images make a big impact on the site. 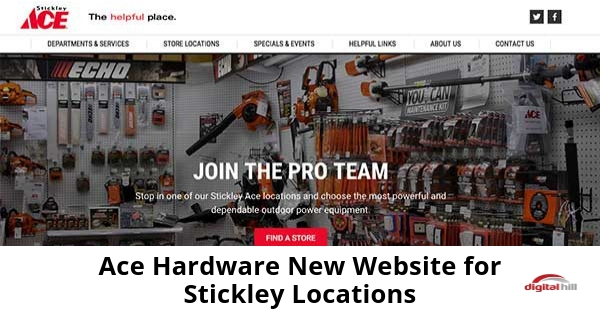 From the home page’s large gallery image to the individual page images, visitors can see the character of Stickley ACE Hardware without having to read about it. Social media is a powerful force in today’s world. The business world is certainly no exception. That’s why StickleyHardware.com features social media integration. Curious customers don’t have to spend time searching for the store’s Twitter or LinkedIn and wondering if they really have the right page. In several areas of the site, visitors can easily see and engage with the hardware store’s social media icons. Want to reach Stickley on Facebook? 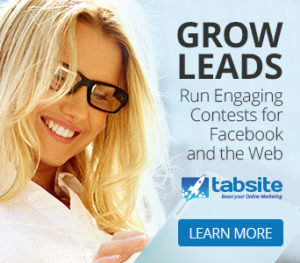 Like their business page and posts with a few quick clicks. Of course, the connections don’t stop there. The Contact Us page form is accessible and quick to fill out. Flexible and simple to use, the WordPress content management system (CMS) provided by Digital Hill allows Stickley Hardware to add content at their leisure. No need to spend time writing complicated code. No need to have to pay outside parties. Just draft up content and publish. Whenever Stickley hosts a BBQ festival or excited about a brand new product they offer, they can update the site themselves at any time. Digital Hill is much like Stickley in a key way – both provide quality service, lasting value and love to help customers. Digital Hill has been providing businesses and communities in Indiana, Pennsylvania and nationwide with modern, easy-to-manage, robust, flexible, and attractive websites for decades. In need of web design services? 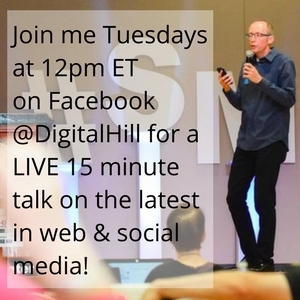 Contact Digital Hill today!